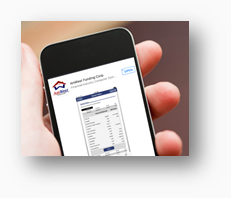 AmWest mobile app for you! Our smartphone and tablet apps will give you fast access to your account 24/7. Visit your device’s app store, search for AmWest and download our free app. There is no charge from AmWest, but text messaging and web access charges may apply from your mobile carrier.